Applies to berth cost only. Single Supplement: No single supplement on a limited quantity of cabins in categories 3 to 7! Once these cabins are sold, the single supplement fee is 1.5 times the berth cost. Ottawa, ON to Resolute, NU. Early-morning departure. Kangerlussuaq, Greenland, to Toronto, ON. Evening arrival. Qausuittuq, or “place with no dawn,” is named for its dark winters. But in summer, the sun persists constantly from about April 29 to August 13 each year. The community’s English name, Resolute Bay, honours the HMS Resolute. “Resolute” also describes local Inuit who were relocated, in 1953, from Inukjuak, Québec, and Mittimatalik by the Canadian government. Our early morning charter flight will bring us to Qausuittuq, where we will embark the Ocean Endeavour. In 1845, Sir John Franklin set out from England with HMS Erebus and Terror, attempting to sail through the Northwest Passage. Franklin’s party overwintered at Beechey Island where three of his men died. Numerous search parties later used Beechey as a depot and rendezvous. Amundsen, Bernier, and Larsen all visited Beechey. Thomas Morgan of HMS Investigator was buried there in 1854 alongside Franklin’s men. The graves and the ruins of Northumberland House are a haunting memorial. Devon Island is the largest uninhabited island on Earth at over fifty thousand square kilometres. The island's geology is stunning and very visible as we sail the coast. Flat topped mountains, glacial valleys, and a substantial ice cap give Devon Island its unique character. Devon Island has a rich human history and boasts historical and archaeological features. We’ll also be on the watch for wildlife. We will spend the day exploring the ocean wilderness of Tallurutiup Imanga (Lancaster Sound). In August of 2017, this enormous body of water was declared a National Marine Conservation Area. Large populations of marine mammals, including narwhal, beluga, and bowhead whales transit and feed in this area. There is a great selection of landing sites available to choose from, depending on weather, wildlife, and sea conditions. Mittimatalik is a bustling Arctic community in a beautiful setting. The views of nearby Bylot Island are stunning. We will have a chance to explore the town, including its excellent library and other facilities. A cultural presentation at the Community Hall is not to be missed—arts and crafts may be available here, too. The Northern and Co-op stores offer a unique perspective on life in the Arctic, and sometimes have carvings as well. Our onboard presentation series will continue as we steam across the Davis Strait towards Greenland. Our expedition team will deepen your understanding of the Arctic as we go! This is an excellent time to enjoy workshops and group learning, watch a documentary, or dive into our library. While out on deck, keep your binoculars ready for minke and humpback whales amid potential pack ice, as well as the seabirds that are sure to mark our passage. Uummannaq Fjord in northwest Greenland is the country’s second-largest system of fjords. It is considered Greenland’s sunniest place. A favourable climate—coupled with proximity to coastal travel routes—has made the fjord system a popular destination for Greenlandic Inuit. The region has been settled for thousands of years. The famous ‘Greenland mummies’ dating to the 1400s were found in Qilakitsoq, near the town of Uummannaq, famed for its heart-shaped mountain. Here, we will cruise in our fleet of Zodiacs to appreciate the icebergs. We will also visit the bustling town of Ilulissat, with its museums, cafes, craft shops, and busy fishing harbour. Kangerlussuaq, the town at its eastern head, is a former US Air Force base and Greenland’s primary flight hub. Here, we will disembark the Ocean Endeavour and transfer to the airport for our return charter flight. For those who prefer not to share, we have a limited quantity of cabins in category 3 through to category 7 with no single supplement! Once these cabins are sold, the single supplement fee is 1.5 times the berth cost. Single occupancy in categories 8–10 is available at full double-occupancy rates. Can be combined with Multi-Trip Promotion, League of Adventurers Loyalty Rewards Program, and 2020 Early-Bird Incentive. Subject to cabin availability. Receive 10% off the berth cost when you book more than one Ocean Endeavour expedition in a calendar year. Can be combined with Free Single Supplement promotion and League of Adventurers Loyalty Rewards Program. Children four years old and younger pay only for charter airfare—and children two years and younger travel free! Children must be accompanied by a full-fare adult. Can be combined with the League of Adventurers Loyalty Rewards Program. Save 30% on berth cost for travellers under thirty years of age. Can be combined with the League of Adventurers Loyalty Rewards Program. If Adventure Canada reduces the price of the berth portion of the fare of any expedition more than 120 days prior to departure, previously booked clients may claim the lower rate. For more information, please visit adventurecanada.com/guarantee. Outfitted with twenty Zodiacs, advanced navigation equipment, multiple lounges, and a top-deck observation room, she is purpose-built for passenger experiences in remote environments. The Ocean Endeavour boasts a 1B ice class, enabling her to explore throughout the Arctic summer. 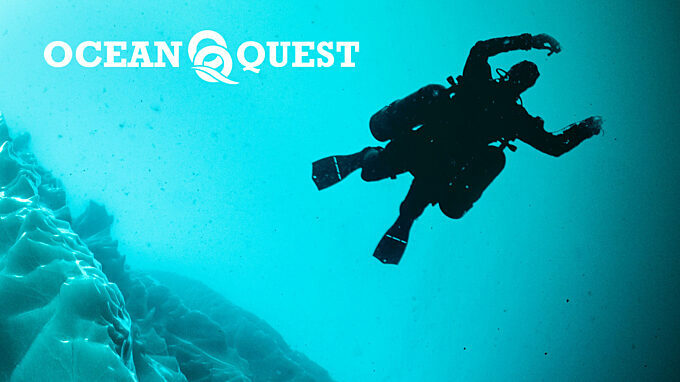 Ocean Quest and it's team of divemasters and instructors love exploring the unknown with the experienced Adventure Canada team. Diving, snorkeling or just cruising with Adventure Canada is promised to be forever life changing! Proud to have partnered on six expeditions with Adventure Canada during our 20 years of operation, OQ has been in, on and around the cool crystal clear waters of our polar planet. We deliver the four pillars of adventure success. Safety, respect, education and fun! Come and let us be your guide to a whole new world exploring icebergs, arctic marine life, unspoiled nature and rarely seen wildlife. Above and below the surface just waiting for you…Live your dream and let us manufacture the memories that you can take away forever!